NACOGDOCHES, TX (KTRE) - A witness took the knife away from a Nacogdoches woman after the woman allegedly stabbed the father of her child in the stomach on Oct. 13 during an argument, according to an arrest affidavit. The victim, 25-year-old Donte Deandre Broussard, later died as a result of his stab wound at Nacogdoches Memorial Hospital. 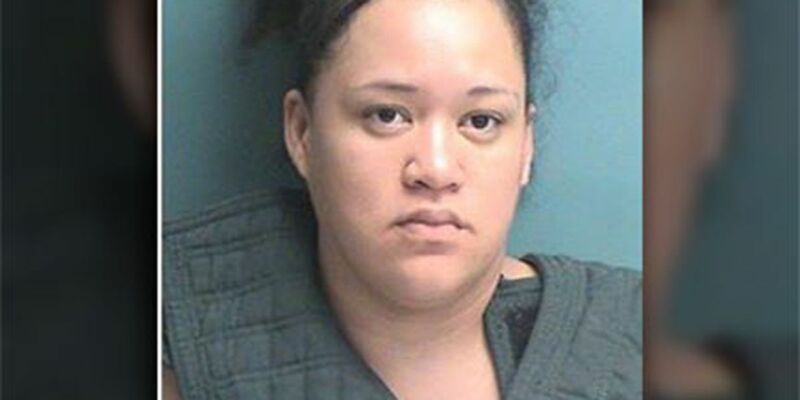 Milanikii Katalina Ybarra, 28, is still being held in the Nacogdoches County Jail on a first-degree felony murder charge and a first-degree felony aggravated assault of a family member with a weapon. Collectively, her bond amount has been set at $300,000. According to the arrest affidavit, East Texas News obtained Thursday, Nacogdoches PD officers were dispatched out to 2209 to check out a report of a disturbance at about 10:38 a.m. on Oct. 13. While the officers were on their way to the scene, the dispatcher told that a man had been stabbed with a knife. When the NPD officers got to the scene, they found Broussard lying on the ground. They noticed that he had a “severe knife wound to his abdomen,” the affidavit stated. Broussard was reportedly able to tell them that he had been stabbed by Ybarra, the mother of his child. Broussard was transported to Nacogdoches Memorial Hospital, where he underwent a lengthy surgery, the affidavit stated. NPD officers processed the scene, and they found the knife that was allegedly used in the incident, the affidavit. The NPD detective who obtained the affidavit spoke to a witness, who told him that he or she overheard Ybarra and Broussard arguing in the kitchen area of the residence. According to the affidavit, the witness then approached Ybarra and took the knife from her hand. When the Nacogdoches PD detective interviewed Ybarra, she allegedly admitted to stabbing Broussard. Ybarra’s aggravated assault charge was later upgraded to a murder charge on Tuesday.